TEAMS have become the basic building-blocks of organisations. Recruitment ads routinely call for “team players”. Business schools grade their students in part on their performance in group projects. Office managers knock down walls to encourage team-building. Teams are as old as civilisation, of course: even Jesus had 12 co-workers. But a new report by Deloitte, “Global Human Capital Trends”, based on a survey of more than 7,000 executives in over 130 countries, suggests that the fashion for teamwork has reached a new high. Almost half of those surveyed said their companies were either in the middle of restructuring or about to embark on it; and for the most part, restructuring meant putting more emphasis on teams. Companies are abandoning functional silos and organising employees into cross-disciplinary teams that focus on particular products, problems or customers. These teams are gaining more power to run their own affairs. They are also spending more time working with each other rather than reporting upwards. Deloitte argues that a new organisational form is on the rise: a network of teams is replacing the conventional hierarchy. The fashion for teams is also spreading from the usual corporate suspects (such as GE and IBM) to some more unusual ones. The Cleveland Clinic, a hospital operator, has reorganized its medical staff into teams to focus on particular treatment areas; consultants, nurses and others collaborate closely instead of being separated by speciality and rank. The US Army has gone the same way. In his book, “Team of Teams”, General Stanley McChrystal describes how the army’s hierarchical structure hindered its operations during the early stages of the Iraq war. His solution was to learn something from the insurgents it was fighting: decentralize authority to self-organizing teams. Profound changes in the workforce are making teams trickier to manage. Teams work best if their members have a strong common culture. This is hard to achieve when, as is now the case in many big firms, a large proportion of staff are temporary contractors. Teamwork improves with time: America’s National Transportation Safety Board found that 73% of the incidents in its civil-aviation database occurred on a crew’s first day of flying together. However, as Amy Edmondson of Harvard points out, organizations increasingly use “team” as a verb rather than a noun: they form teams for specific purposes and then quickly disband them. The least that can be concluded from this research is that companies need to think harder about managing teams. They need to rid their minds of sentimental egalitarianism: the most successful teams have leaders who set an overall direction and clamp down on dithering and waffle. They need to keep teams small and focused: giving in to pressure to be more “inclusive” is a guarantee of dysfunction. Jeff Bezos, Amazon’s boss, says that “If I see more than two pizzas for lunch, the team is too big.” They need to immunize teams against groupthink: Hackman argued that the best ones contain “deviants” who are willing to ruffle feathers. A new study of 12,000 workers in 17 countries by Steelcase, a furniture-maker which also does consulting, finds that the best way to ensure employees are “engaged” is to give them more control over where and how they do their work—which may mean liberating them from having to do everything in collaboration with others. However, organizations need to learn something bigger than how to manage teams better: they need to be in the habit of asking themselves whether teams are the best tools for the job. Team-building skills are in short supply: Deloitte reports that only 12% of the executives they contacted feel they understand the way people work together in networks and only 21% feel confident in their ability to build cross-functional teams. Slackly managed teams can become hotbeds of distraction—employees routinely complain that they can’t get their work done because they are forced to spend too much time in meetings or compelled to work in noisy offices. Even in the age of open-plan offices and social networks some work is best left to the individual. When I was a child at large family gatherings there were two tables: one for the grown-ups and one for the kids. As kids, we did not get to choose where we sat or even what we ate—the grown-ups made those decisions for us. Fast forward a decade or so, and many of us find ourselves in a similar situation at work. Often times we are told where to sit, what to do and how to do it. We constantly have to deal with the many distractions that can pop up at work and have no place to go to get away and focus. The good news is our research confirmed that the workplace can help tip the balance in the right direction.The data showed a correlation between how satisfied people are with their workplace and how engaged they are. In short,people who were happy with their office tended to be more engaged. But the people who hated their office, tended to be more disengaged. Since the groundhog didn’t see his shadow and an early Spring is on the way, are you counting down the days until warmer weather, green grass and daffodils? 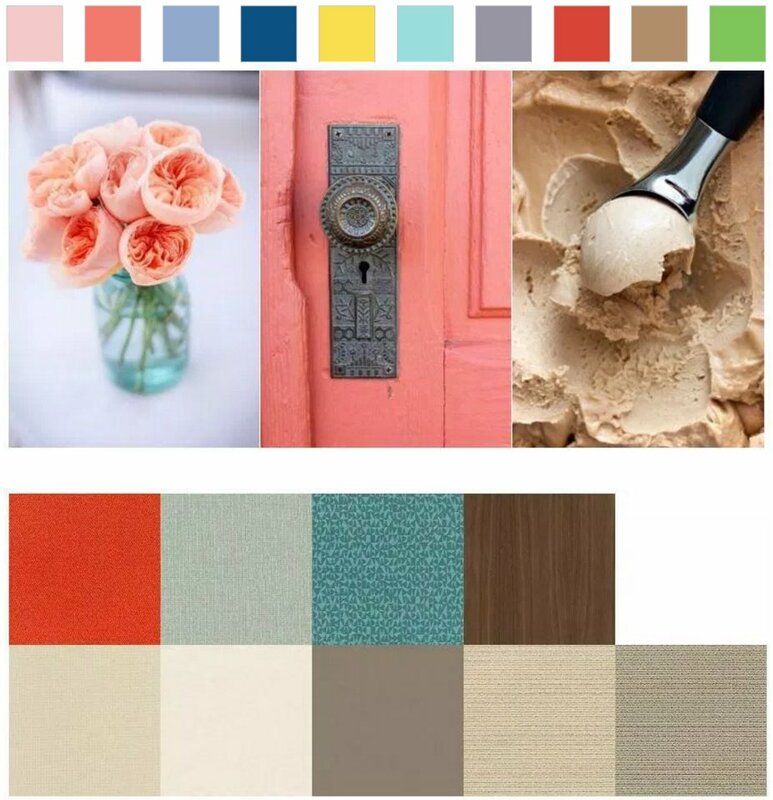 Let’s take a look at the exciting Spring 2016: Pantone Fashion Colors and how you can incorporate them into your next project. Click “Read More” To See more Design Ideas! The Brody WorkLounge is an office pod to minimize the distractions of working in an open-plan office. 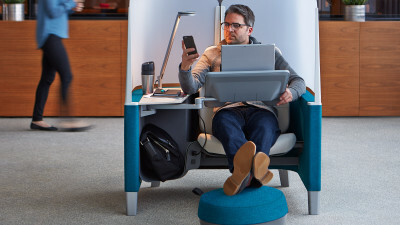 The New Brody WorkLounge creates a comfortable microenvironment by thoughtfully integrating power, ergonomic comfort, personal storage and lighting—so you can focus your attention, get into flow and get work done. Brody WorkLounge can help organizations optimize their real estate by delivering a high-performance work space in a highly efficient footprint. A smart alternative to enclaves, the Brody WorkLounge transforms underutilized, in-between spaces into coveted destinations. Click “Read More” below to find out more about the Brody WorkLounge, and to view more setup combinations. Before the introduction of the personal computer into offices in the 1980s, armrests were simple, non-adjustable accessories on executive chairs and conspicuously absent from so-called “secretarial” chairs. In the 1980s, due to the demands of computer work, the design of chairs evolved to promote longer periods of sitting. That changed in the 1990s when the negative effects of prolonged static sitting and repetitive computer work prompted ergonomic research that elevated the importance of armrests and paved the way for major changes in their design. 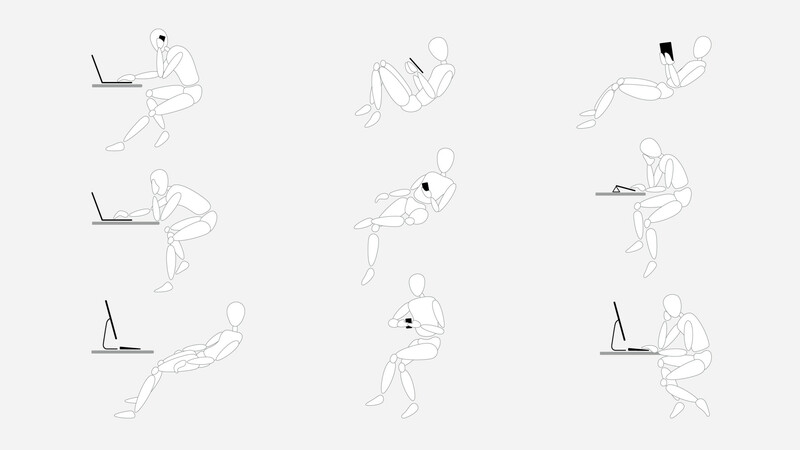 Especially during the 1990s, chairs evolved from simple sitting devices to ergonomic tools that could adjust to fit the size and shape of bodies and how people worked. The latest research confirms that sitting smart, when combined with standing and walking options, can have a big impact on worker wellness and productivity. Three recent American studies performed by Marc T. Hamilton (2007), Pedersen (2009) and Stephens (2010) have shed new light on the relationship between long periods of sedentary behavior and pervasive health problems such as weight gain, metabolic syndrome and diabetes. While these studies inspired sensational media coverage warning consumers “sitting is killing us,” such headlines misstated the findings. The studies looked at many variables that negatively impacted peoples’ health but did not isolate the adverse relationship between sitting and poor health. The researchers didn’t explore specific health outcomes of long-term behaviors, nor did they cite a single behavior that contributed to ill health more than others—there was no smoking gun. Nearly everyone agrees that innovation is the way to supercharge an organization to growth. The right places can help make it happen. Today nearly everyone agrees that innovation is the only way to supercharge an organization and shift it to growth. The ability to see new opportunities and harness resources to pursue them is a fundamental advantage for any organization, from super corporations to start-ups. With attention meltdowns now epidemic in many organizations, nearly everyone is struggling to adapt, often without any real understanding of what attention is, how it works, or how to attain it and use it productively. Fortunately and just in time, the research of neuroscientists in more than 40,000 labs throughout the world is shedding new light on the processes of attention and, in so doing, providing decipherable clues into how it can be supported in the workplace. Thanks to the vast amount of research being done, it’s now becoming clear that solving many of the challenges that people face at work is linked to getting smarter about that three-pound organ that we all carry around in our heads. 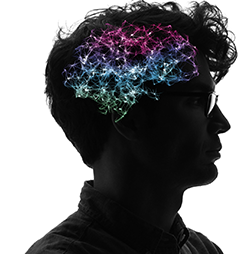 During the past year, Steelcase researchers and designers have been delving into the findings of neuroscientists and cognitive researchers, integrating discoveries from these experts with their own ongoing investigations into workers’ behaviors and the changing nature of work. The resulting convergence of findings has inspired new perspectives and new ideas for how environments, when thoughtfully designed, can be a hardworking and effective tool to help workers better manage their attention. And that has all kinds of competitive advantages: improved worker engagement and wellbeing, more creativity and innovation, and better business results overall. As demands on people’s attention grow, it is becoming more and more important to optimize our cognitive resources,” says Donna Flynn, vice president of the WorkSpace Futures team. 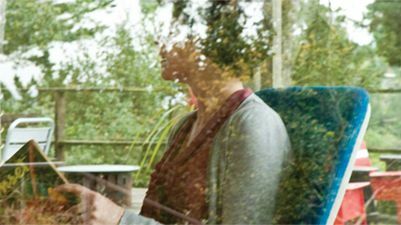 “By studying the findings of neuroscientists, we’re realizing that knowing more about how our brains shape our physical, cognitive and emotional wellbeing is bringing more clarity to understanding human needs in the workplace. 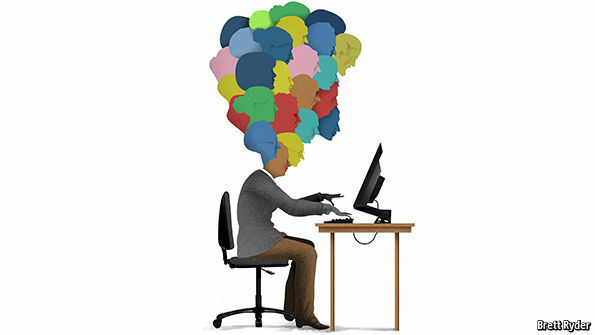 We’re learning what we can do with all this new science to help people think better at work. Companies are pursuing organizational wellbeing with an enthusiasm never seen before. It seems the right thing to do for employees, plus there’s the potential for lower absenteeism and fewer medical claims. Substantial cost savings are at stake, too. For example, thanks in part to the company’s wellbeing Efforts, Steelcase health insurance premiums in 2013 will increase about 3%, less than half the 7.5% increase estimated for the year by PricewaterhouseCoopers.Yet at Steelcase, wellbeing is about much more than cost reduction. “Most companies are interested in wellbeing, but mostly as the potential for lower insurance premiums. Beyond that, they think it’s fluff. As a finance guy, I can tell you that our wellbeing strategy has paid off in terms of organizational performance,” says Dave Sylvester, CFO.The company takes a two- part approach to wellbeing. First, wellbeing is being woven into the culture of the organization, through multiple activities led by both management and employees. 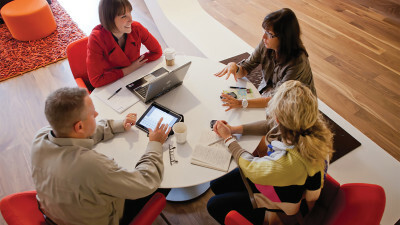 Second, Steelcase is creating products and environments that actually help improve the wellbeing of workers. In other words, wellbeing is being made tangible through workspace. Leap makes a measurable difference in two separate health and productivity studies.As the number of knowledge workers grows worldwide, so does the need to design ergonomic programs that improve the health and productivity of these workers. So what creates a healthy, inspiring office that helps people do their best work – an ergonomic chair, a keyboard support, a window view, good lighting, great tasting coffee? Many studies analyze the effectiveness of ergonomic programs, but since they look at overall changes to the office, they don’t readily identify which changes actually led to reduced symptoms and injuries. Leap® seating technology was designed based on extensive research of the human body and how to support it. The Leap chair had been proven, in biomechanic laboratory tests1, to provide exceptional fit, movement, and support. The goal of these field studies were to test the measurable effects of the Leap chair and office ergonomics training on employees’ well-being and productivity in a “real world” setting. 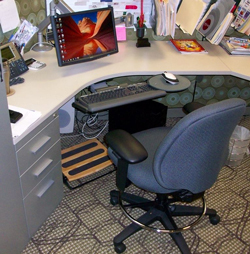 Scott Rice Internal Ergonomic Case Study-Do you fit your desk? This study involves a Scott Rice employee who suffered from pain mainly in her hands, neck and upper shoulders. Most of these issues were the result of the user trying to adapt to their desk instead of their desk adapting to them. The problems were resolved simply by correcting the users posture, correcting some common bad sitting habits and adding adjustable ergonomic tools. Cox Communications is a Fortune 500 company providing multi-service broadband communications to over 6.7 million customers. They are the third largest cable television provider in the US . Cox provides an array of other communications and entertainment services, including local and long distance telephone under the Cox Digital Telephone brand. 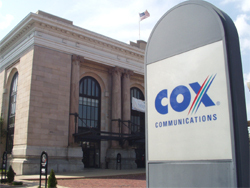 Wichita , Kansas – Cox Communications operates out of several offices in Wichita. Two years ago they decided to build a call center in Wichita employing over 200 employees. Their goal was to create a highly productive environment with building and workplace systems that allowed for the easy modification of workspace as changes were required. They also wanted great working conditions and a first class training facility. 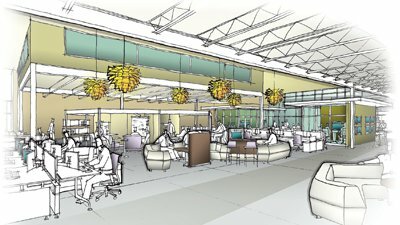 Scott Rice partnered with Steelcase and Cox facilities managers to create the ideal call center. Cox chose to build a technology friendly building by “WorkStage” (a company working in a joint venture with Steelcase) and furnish the workspace with office interiors manufactured solely by Steelcase. Scott Rice coordinated and managed the entire office interiors portion of the project. The WorkStage building and the office interiors projects were completed on time as scheduled. WorkStage flooring features allowed for easy cabling and continues to provide the flexibility to easily reconfigure the workspace as changes become necessary in the future. The latest Steelcase systems furniture was configured in a way that optimized the cost per square foot while still encouraging team work and providing highly efficient workstations. Steelcase movable walls also allow for greater flexibility as space design needs change. Mistake to avoid when buying furniture. Before investing in office furniture, think it through. Assess your needs and how each piece will be used. Does your company culture lend itself to more time spent in formal conference rooms or informal quick meeting places? Will office chairs be used occasionally, all day and by one person, or shared among many? Should you have surfaces at multiple heights for those who prefer to stand and work or surfaces that are height-adjustable? The more thought you give prior to purchase, the greater the likelihood of success. Comfort equals productivity. Ergonomic design in chairs—such as contoured seats, lumbar supports, adjustable seats and armrests—is important and can help minimize work-related injuries and lost workdays. The longer employees spend in chairs or at their desk, the more thought and consideration that needs to be put into furniture selection. People of all shapes and sizes need to be comfortably and safely accommodated. Choosing an incorrectly rated item, such as a chair, can result in costly damage to the product and, more important, injury to the person using it. Any savings from purchasing a lower-rated chair could be exceeded by the cost of your liability to the injured person. It may be tempting to purchase lower-priced furniture, but these kinds of products could cost you extra in terms of repairs and replacements down the road. Consider breaking up your furniture budget into parts to make the process easier on your budget. Inexpensive items may be purchased if you’re in a pinch, but consider these temporary fixes while you look for a more suitable long-term replacement. Take into account how every piece will fit into not only your current, but possibly future, environment. Is the furniture capable of adapting quickly to developing technology? Does it have enough flexibility to grow and change as your employees do? Can you reconfigure and move easily when your staff and layout require something new? Take time to consider the pros and cons of your current furniture—and the future of your company. Also consider colors, designs and materials that won’t be outdated in a few years.